Join us Saturday, March 7, at the Orcas Island Senior Center. 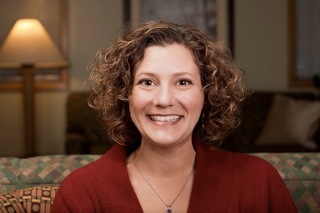 A successful marriage and family therapist highly recognized for her work within the special needs community, Beth Jenson, MA, LMHC, will lead our third “Strengthening Island Families” parenting presentation Sat., March 7 at the Senior Center. Attend one or both of the seminars and enjoy lunch and time to engage with other parents of preschool-age children facing some of the same challenges. 9:30 am – noon “Raising a Sensory-Friendly Family” Your child avoids finger-painting, refuses to wear socks, or prefers to go naked. He melts down at birthday parties, wiggles out of circle time, or covers his ears during songs. Learn more about your child’s quirky sensory seeking or avoiding behaviors. Explore ways to regulate extra-sensitive and extra-wiggly bodies and brains, soothe the accompanying meltdowns, and plan for success in activities that tend to upset the sensitive. 12:30 – 3 pm “Bounce Back Kids – Teaching Kids Resilience” Explore how parents can strengthen kids’ resiliency – the ability to emotionally “bounce back” from negative experiences – and give our children strategies for dealing with the everyday childhood tragedies of frustration, disappointments and worries. This entry was posted in Uncategorized on February 11, 2015 by Orcas Island Early Childhood Education.